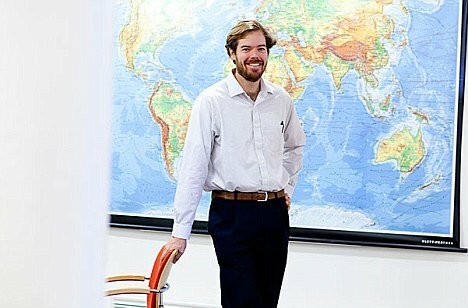 Peter Huybers, a Harvard earth sciences professor, has finally proved the idea that slight shifts in Earth’s axis are enough to trigger the ice ages using computer models to test competing ideas – and finding that earth’s tilting axis is the only one that works. The finding could have profound implications for our understanding of our planet’s climate and could, its author says, be crucial to “predicting long-term changes in future climate”. Two “cycles” in the way Earth’s axis spins have an effect on the cycle – one lasting 10,000 years and one lasting roughly 40,000 years. When they align correctly, ice melts. At the other extreme, glaciers advance. The idea that these could dictate the cycles of glaciation in Earth’s climate was first proposed by Serbian geophysicist Milutin Milankovitch in the first half of the 20th century. “These periods of deglaciation saw massive climate changes,” Prof. Peter Huybers said. “Sea level increased by 130 meters, temperatures rose by about 5 degrees C, and atmospheric CO2 went from 180 to 280 parts per million. “We ought to understand what caused these massive changes in past climate if we are to predict long-term changes in future climate with any confidence. When both cycles align “correctly”, the glaciers retreat rapidly. “When you get that alignment, the radiation that the Northern Hemisphere receives during summer increases by tens of watts per meter squared, and if large Northern ice sheets are present, they tend to disintegrate. Prof. Peter Huybers emphasizes that these cycles are only one factor among many. “It could also be that orbital forcing causes a rise is atmospheric CO2, and that it’s the increased CO2 that drives the loss of ice sheets,” he said. Fidel Castro launched his memoirs, "Guerrilla of Time"